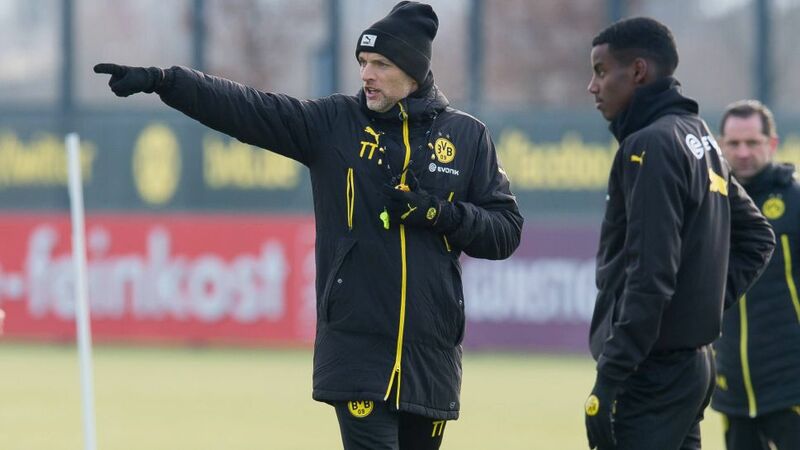 Thomas Tuchel (l.) could hand 17-year-old superstar Alexander Isak (r.) a debut from the bench. There are no new injury concerns for Dortmund coach Thomas Tuchel going into this crunch fixture, with Sven Bender and Nuri Sahin the only players certain to miss out. Newcomer Alexander Isak has received permission to play from FIFA after his transfer paperwork went through, although the 17-year-old is likely to be on the bench, while Raphael Guerreiro should start in midfield, having appeared as a substitute last weekend. A nasty bout of flu ensures Leipzig's 11-goal top scorer Timo Werner and midfield duo Diego Demme and Marcel Sabitzer will play no part in Dortmund. Davie Selke, Oliver Burke and Dominik Kaiser are all viable options going forward, while Rani Khedira could start in defensive midfield. Emil Forsberg sits out the final game of his three-match suspension.